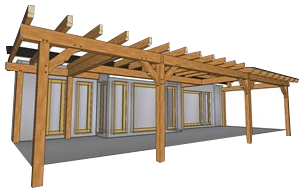 Planning on building a timber frame home or structure? Please use the form below to send us a message regarding your timber frame construction project. We’re happy to ship our structures to anywhere in Canada and the United States. Yes I want occasional newsletters sent to my inbox. You can unsubscribe at any time.